This year, the Center on Disability and Community Inclusion (CDCI) is pleased to announce that we were chosen to host two international fellows from the Professional Fellows Program for Inclusive Disability Employment (PFP-IDE). PFP-IDE matches 20 mid-career professionals from Kenya, Tanzania, and Uganda who work toward the advancement of inclusive employment for individuals with disabilities with university-based research and education centers for disabilities in the US. Fellows will spend five weeks in the US as part of an intensive program to learn and create practices surrounding inclusive employment. CDCI would like to congratulate Bryan Dague, supported employment expert and coordinator of the Think College Program at UVM, on writing the successful application to host these fellows. 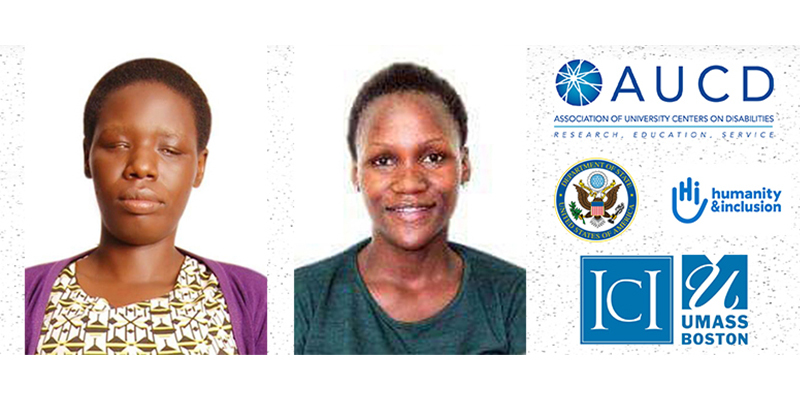 We are excited to work with Victorial Melkisedeck Lihiru of Tanzania and Sylivia Karungi of Uganda. Victoria is an advocate from Tanzania focused on advancing employment and gender equity for women with disabilities in her home country. She works for the NGO Action for Disability and Development (ADD) and has collaborated with the UN Development Program and UN Women on several projects that support integration of women with disabilities into the workforce. She intends to design a Fellowship project that will help identify female graduates with disabilities and provide them with an accessible platform to market themselves to prospective employers. Sylivia is an advocacy and learning officer at the Centre for Visually Impaired Children in Uganda. Her background is in mental health and psychology, and she conducts community advocacy and local job trainings for youth with disabilities in her home country. She hopes to design a Fellowship project at CDCI that will help Ugandans with disabilities identify, bolster and promote their job qualifications among employers in both the formal and informal sectors. Last year, CDCI and Vermont LEND hosted Renata Bonotto from Brazil through a similar fellowship focused on inclusive education. Hosting was a great experience for us, and our relationship with Renata has continued. We are excited to see these new partnership bloom.